I'm excited to debut this series. I love exploring little towns in Florida, but it's hard to know what to do when it's your first time visiting. Sure you can get a lot of advice from google or tripadvisor, but they tend to be all of the run-of-the-mill sort of things. I thought I'd give you an idea of how I spend a day in some of my favorite towns in Florida. Winter Garden is a quaint town just 15 miles outside of Orlando. It's one of the few places that has maintained an old town feel while still being one of the trendiest places in Central Florida. Plant Street is the popular downtown area loaded with shops and restaurants on either side. What makes this town truly unique, though, is the gorgeous bike trail that runs directly through town. 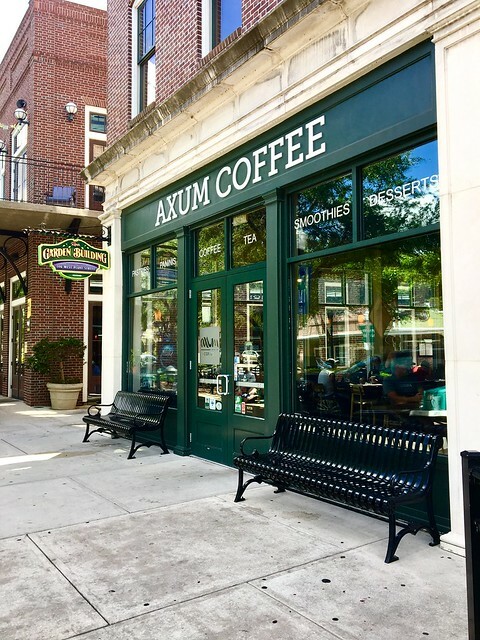 Coffee: You can't go to Winter Garden without a visit to Axum Coffee. The atmosphere feels like home, the drinks are an art form, and the story is inspiring. Axum uses its profits to support communities around the world. You can read more about their story on their website or visit one of their 2 locations in Winter Garden. 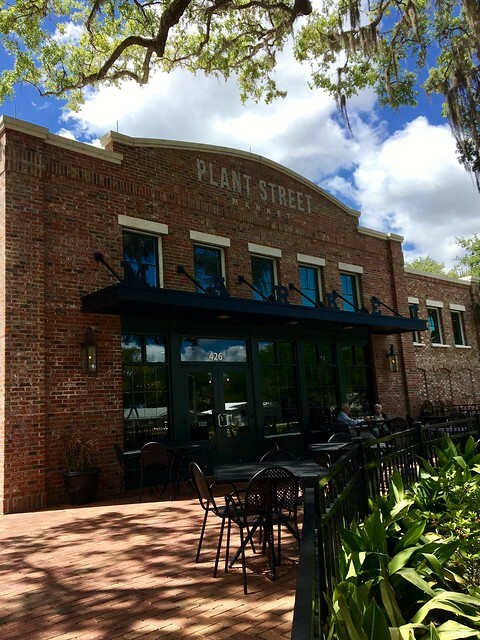 Shops: There are a variety of specialty shops on Plant Street, but if you really want to experience Winter Garden go to the Farmer's Market on a Saturday morning. Talented artisans line the square and the smell of delicious bites is inescapable. It's by far my favorite Farmer's Market in Florida. 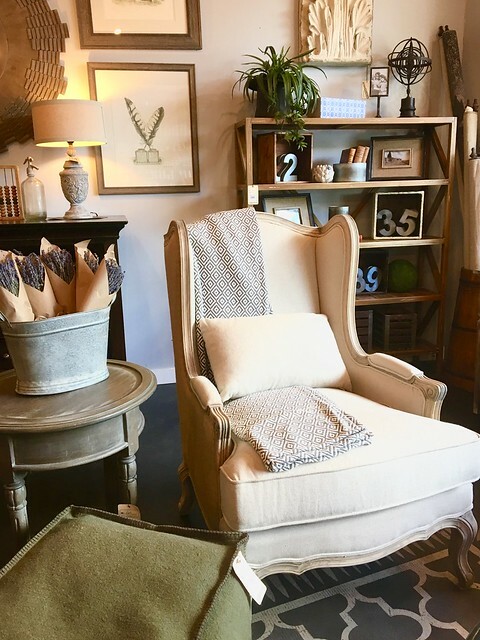 You'll also want to make a stop into Adjectives, the multi-shop marketplace for antique and vintage goods. Lunch: There are 2 amazing options for lunch downtown. 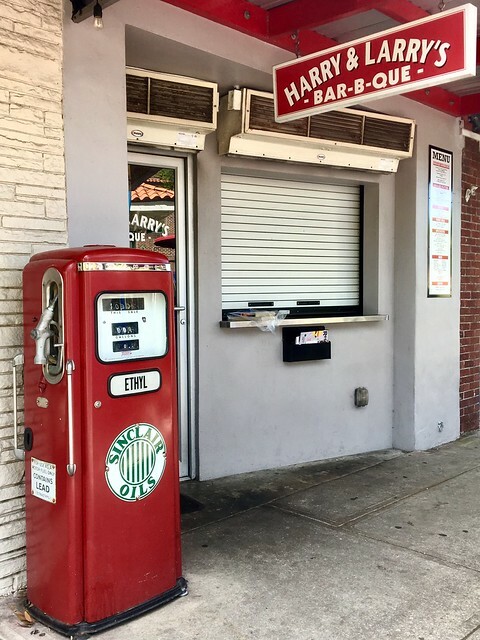 If you're feeling barbecue, Harry and Larry's can't be missed. My personal favorite though is Moon Cricket Grille. The pub-style environment offers traditional American food with great flavor. You can also stop by for live music on the weekends. Fun: If you want to experience the town in a truly unique way, take your bike down the West Orange Trail. You can bring your own or rent one at the trail head just south of downtown. Dinner and Drinks: Plant Street Market is your place to go for a nightcap. The old-fashioned market offers traditional delis and shops as well as modern restaurants and even a brewery. Whether you're feeling sushi or pizza there's something for you to enjoy. Have you visited Winter Garden? If so, what are your favorite spots?